Chairman and Chief Executive Mike McCue said he will tackle the video project at the end of the year. He declined to say which studio partners he has approached. He also hopes eventually to cut deals with publishers to sell electronic books through Flipboard. 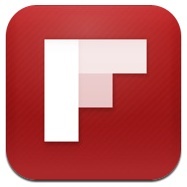 Flipboard is available only on the Apple iPad, but McCue expects to launch an iPhone version in a few weeks that will also work on the iPod Touch. Flipboard has proved to be extremely popular since its launch, as it managed to receive about $60 million in venture capital funding in a little over a year, and has been downloaded 3 million times thus far. The app is constantly evolving, and earlier this year, Flipboard received a major update, and now offers new ways to quickly search, browse, and favorite all the social content you’re interested in.